We are here to help you find your way to healthier more beautiful skin. 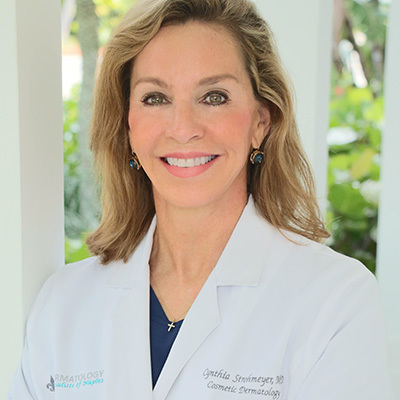 Meet Dr. Cynthia R. Strohmeyer, M.D. Dr. Cynthia R. Strohmeyer, M.D. is a board certified Dermatologist as well as a highly-regarded and sought after Dermatologic Surgeon, who specializes in Cosmetic Dermatology. Upon receiving her Medical Doctorate in 1985 from Louisiana State University School of Medicine, she was accepted at prestigious Duke University Medical Center for post-doctoral training. While at Duke, she undertook an internship (1985-1986) in Internal Medicine. This was followed by a concentrated residency program (1986-1989) in Dermatology, during which Dr. Strohmeyer was honored by being named Chief Resident.